Updates for the 2016 season can be found at www.arkansascx.com. Tonight is the NIGHT RACE! Course – Pavement start and finish, mostly grass, and wooden barrier dismounts. Rear Lights(advised);The Whole Family; Cowbells or Noise Makers for the Kids!!! A night race? “I’ve never ridden at night,” you say! Well, you should-it’s a blast! What better time to try it than with a bunch of other riders at your first, second, or how ever many cyclocross races you’ve done. Join us at the evening of Saturday, October 24 for the 2015 Arkansas SuperPrestige Night Race in Interstate Park. The majority of the course will be lit with park lighting, but it is advised to have a front and rear light. Some bike lights will be on hand, but please provide you own if you have them or contact me for suggestions if you’re in the market. This course will follow a similar path to the 2014 Night Race held in Interstate Park. Enjoy food and beverage from Little Rock’s own-our favorite sponsor- Vino’s. The 2015 season opener is here! Details of the race can be found on this flyer. This race is brought to you by Three Happy Cows. Their website is here. If there is ever any doubt, ASPS information, including contact information, is available at arkansasoutside.com. We hope to see you Sunday! The new season is rapidly approaching. Time to get the tires glued up and the intensity training going! Skills and drills sessions are being established in Little Rock and already are set in NWA! In both cases they will likely start in late August or early September. This is a great way to learn about the sport, try it out, ask questions; as well as to stay in shape, get a good workout once a week. This calendar compliments some surrounding events, allowing both good attendance at local events as well as good Arkansas representation at out-of-state races. More races will be added soon. Watch this space. This post will be updated with the most current information on the 2014 season, as it becomes available. A bunch of fun links get posted to the Arkansas Super-Prestige Facebook page. The cross monkeys have been working behind the scenes ensuring that the 2014 cyclocross season will be the BEST YEAR EVER. The Dillon Group Custom Homes has once again stepped up as sponsor of the series. If you ever need any home or business construction or remodeling done, give them a call and tell them cyclocross sent you. They do excellent PRO work and you won't be sorry. SINGLESPEED. The singlespeed race is open to all comers, lasts 40 minutes, and starts on the same wave as the masters, women 1/2/3/4, and men's cat 4. SLEEP AN EXTRA HOUR. Sunday events start at 11am. Last year's state championships was weather-delayed an hour and nobody had any trouble getting home in time for dinner. OPEN* RACE. You must have an annual USAC license with CX cat 4 or higher to compete in the Open* race. As you can see on the calendar above, the State Championship race is no longer a series race, which allows more flexibility in scheduling the various age groups, categories, etc. There is also a non-series race the day before the series finale, at the same location as the finale. Saturday races will typically start later in the day. Non-series events will have completely different line-ups of categories, age groups, start times, etc. Race duration is approximate; race leaders are timed for the first lap or two, and then laps-to-go are displayed at the finish line. 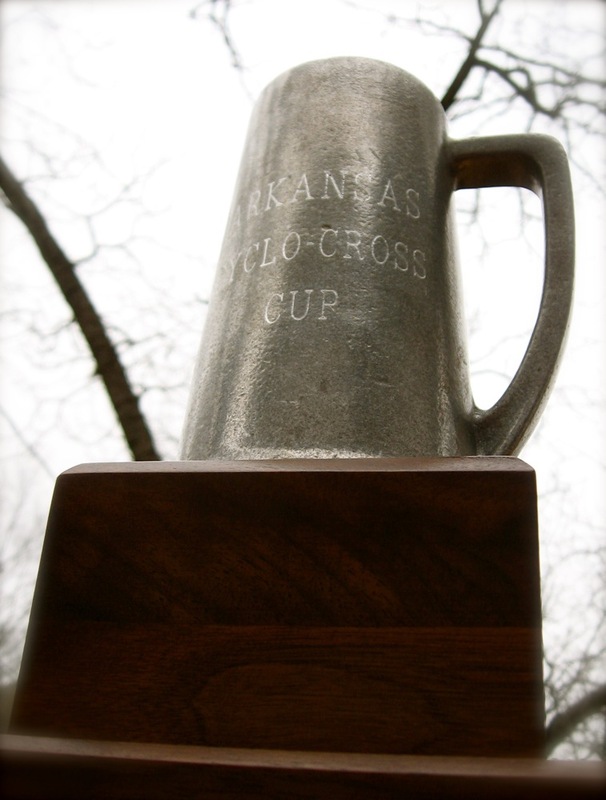 The team award is the famed Arkansas Cyclo-cross Cup. It is a perpetual trophy, engraved with the year and team name, and put in their safe-keeping for the following year. The Cup will be awarded on December 13 at an open house celebration at Vino's from 5 to 7 pm. Points are tracked based on USAC annual license number. New license holders carry forward ONE result earned on a one-day license. Team affiliation is based strictly on the USAC license (shown next to "CX"). BRING YOUR LICENSE TO THE RACE. They will be checking that you are indeed entering the correct race(s). One-day licensees have this one covered. If you are racing on a one-day license, then you are CX:05 if you are male or CX:04 if you are female (there are only 4 CX categories for women). 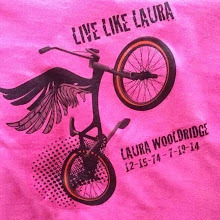 If you want to change your category, you must make a request to usacycling.org. This is not something that can be performed on race day. OK here's where it's a little tricky. Because the national cyclocross calendar extends into the new year, your cyclocross racing age is how old you will be on December 31, 2015. A Single Speed is any type of bicycle possessing only one rear cog and only one front chainring and with no means of altering the gear ratio in any way during the race.